The aim of our recycling project is to create sustainable employment for people with intellectual disability, and to generate income to subsidize the various support offerings we provide. 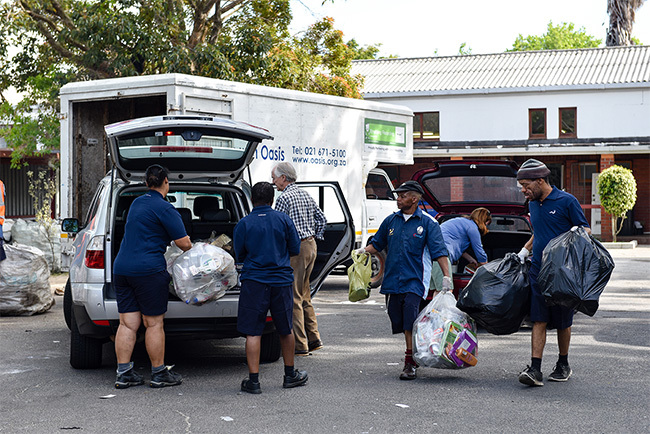 • provided a bustling drop-off centre in Claremont which offers a domestic recycling service. Oasis processes over 160 tons of recyclable waste a month. This means that we save the City of Cape Town approximately 16 000 cubic meters of landfill every month, making us a significant contributor towards recycling in the Cape Metropole. We currently provide a free collection service for over 500 businesses. We also offer a document-shredding service for clients for whom confidentiality is important. It is estimated that Cape Town residents produce over 6000 tons of waste PER DAY! You can make a difference by recycling your household waste with Oasis. Oasis recycles your tins, plastic, paper, bottles. We are also always grateful for donations of any gently used goods, books and other items we can sell in our shops. 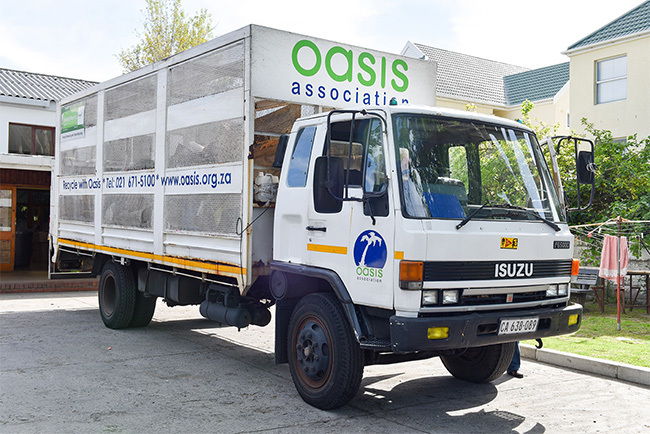 Oasis beneficiaries help customers unload their recycling, sort the recycling and ensure everything is ready for pick up by our manufacturing clients.